A couple of years ago while visiting Shinn Estate Vineyards in Mattituck, NY I was having a conversation at breakfast and grooming was the topic of the moment. When I disclosed I used a badger brush every morning, the looks I received from the gents at the table were priceless. One gent went so far as to say, “What? Where do you find the time?” My reply, “I make time. It’s me time.” I’m sure that tickled him pink inside. But in all seriousness, it’s true. I look at my morning shower, which also includes shaving, as a moment I not only have to myself, but a chance to gather my thoughts for the day. There are however, times when I just need to get it done, pronto. I find when my blades are their sharpest, I zip through my shave. My first piece of advice then would be to make sure you’re changing your blades often. Some people recommend 5 days, other say sooner. I think you’ll know when it’s time and that’s when you should change them. If you find yourself going over the same areas a few times, it’s time to switch them out. If you’re using a badger brush, ditch it and use your hands. While the bristles of the brush are good for massaging your face and lifting hairs, if you’re in a hurry, a few seconds count. This last piece of advice may have the purists shunning me but oh well. For those mornings when you’re really pressed for time and you’re looking in the mirror asking yourself can you get through the day without shaving, go electric. Yep…I said it. Electric is where I started and I’ve never fully turned my back on it. Zip, zip, zip and I’m done. I enjoy the act of shaving a lot but some mornings I just need it to be done and my electric shaver comes in handy. As always, thanks for the questions. Feel free to drop a line at fm@fragrantmoments.net. 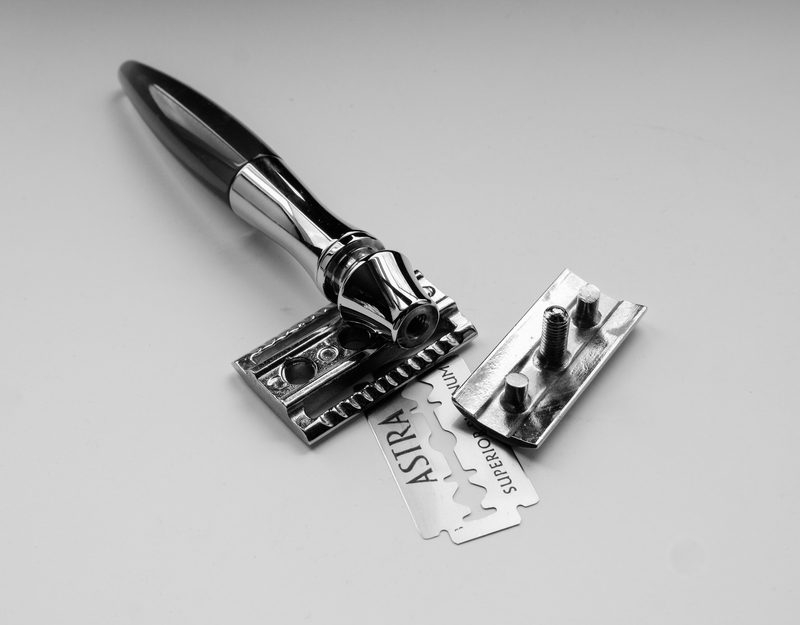 This entry was posted in Uncategorized and tagged details, Double Edge Safety Razor, eshave, Imagelogger, Men's Essentials, Men's grooming, NX1, Razors, Shaving, shaving supplies, Wet Shaving. Bookmark the permalink.